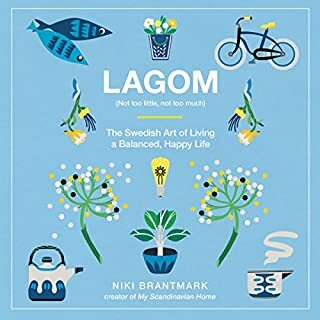 In an interconnected world filled with goal-oriented perfectionists, Lagom reminds us to slow down, to decompress and destress, to be mindful of sustainability yet not deny ourselves pleasure. But lagom is not a rigid set of rules - sometimes you need more, sometimes you need less, and that's fine, too! With this idea-filled guide, you can learn to find greater balance, well-being, and harmony - and, most importantly, make time for the things that matter most in life. Hygge is not about candles. You can feel hygge without candles, woolen socks, or a fireplace. It's about something more. It's about mindset. Danes have been living this lifestyle for centuries. I studied how they live and applied what I've learned. My life has never been better. Now it's your chance to discover the secrets of living hygge. Is your life so crazy busy that you don’t even remember the last time you sat down and got to relax and enjoy a cup of coffee or tea? Remember those carefree days when you sat for hours talking with your girlfriends or your buddies without interruption? Remember how you felt? Happy. Relaxed. Content. Comfortable. It was just you and them. That level of happiness is Hygge. Join the happiness revolution! 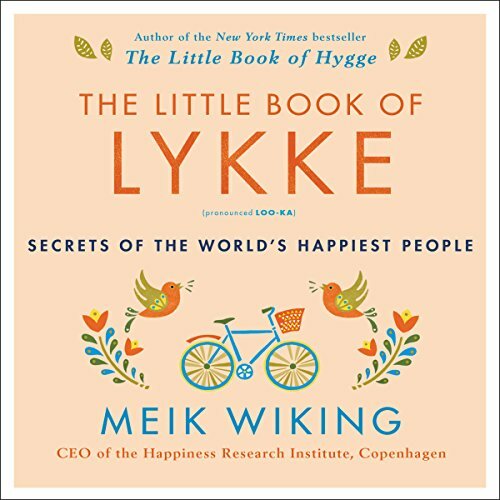 The author of the New York Times best seller The Little Book of Hygge offers more inspiration and suggestions for achieving greater happiness by practicing Lykke (LOO-ka) - pursuing and finding the good that exists in the world around us every day. While the Danes are the happiest people on the planet, happiness isn't exclusively Danish; cultures around the world have their own unique approaches to leading a contented, fulfilled life. For his work at the Happiness Research Institute in Copenhagen, Meik Wiking travels the globe from Dubai to Finland, Rio de Janeiro to Bhutan, South Korea to the United States, to discover the secrets of the very happiest people. With his trademark warmth and wit, Meik explores the happiness gap for parents, how much money you really need to buy happiness, how we can be healthier without having to go to the gym, how we can learn to build trust and collaboration, how we can help ourselves by helping others, and why our expectations often outweigh our reality. Weaving together original research and personal anecdotes, The Little Book of Lykke is a global road map for joy that offers a new approach to achieving everyday happiness that not only improves our own lives but helps us build better communities and a better world. 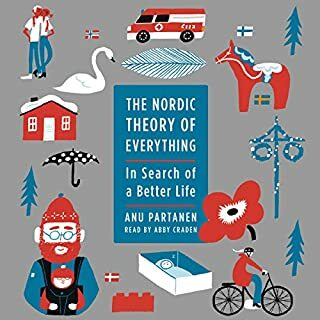 This is my third listen to a book describing what makes Danes the happiest culture in the world, and how to bring more happiness into my own life by emulating some of their habits. I made it about halfway through this book before giving up. The author presents some sociological studies to identify factors contributing to personal happiness in cultures that rank high in happiness throughout the world. He then discusses what Danes do to incorporate or increase these factors in their lives, while suggesting ways that anyone else could also accomplish this. To say he sounds smug would be an understatement, but he sounds smug. I did the tiniest bit of research and learned that Denmark has a mostly homogeneous population of almost 6 million, governed by an, apparently, responsible socialist government that provides many benefits equally to its citizens. Danes receive many weeks of paid leave from their jobs, a year of paid parental leave, free health care, a free college education, etc. They have a high tax rate, but it sounds like they get something of value for their money. 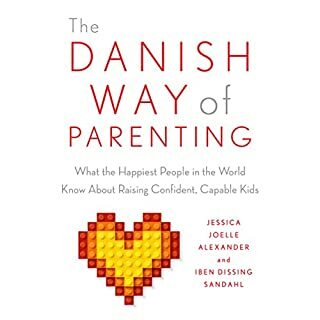 I suspect that this is the source of Danish happiness rather than things like the shared-community-tool scheme the author suggests as a way to build community, or walking under the trees in spring to enjoy stimulating your senses. 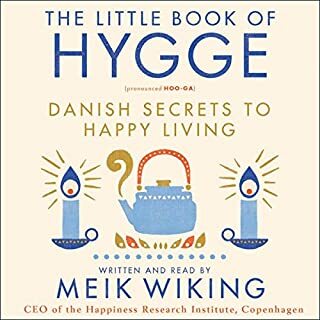 If you live in a society that functions like Denmark's, you may find the author's suggestions useful for enhancing your level of happiness. If you live in a markedly different type of society, you may find these suggestions don't translate well. That was my experience. This book was useful in helping me see just how much social conditions can affect personal happiness and how conditions I had previously thought of as strictly personal are in fact due in large part to social structure. Are you in search of a more meaningful life? If so, this book will be a great addition to your library and will give you some great insights about improving your quality of life. I would give 10 stars ,if I could. I really enjoyed this book, and it has me questioning some deeply held assumptions I didn't realize I had made. If by the end of this book you are not insipred to make some changes in your life to get you closer to your happines, nothing will. Fantastic narration, even better subject matter. I will be listening to this one many more times. Sometimes we all just need to be reminded happiness is never out of our reach. I felt happier reading this book. I had seen some critiques (few) about the author’s over indulgence in Danish culture, but honestly this is what makes the book so interesting to me. He’s not providing theoretical data on happiness, he’s sharing how the Danes And people all over the globe make the world happier. He tells the reader what values and ways of being get in the way and also was created more happiness. I loved the Happiness tips at the end of each chapter - very doable things to increase personal happiness and to spread happiness. It’s a great little book. 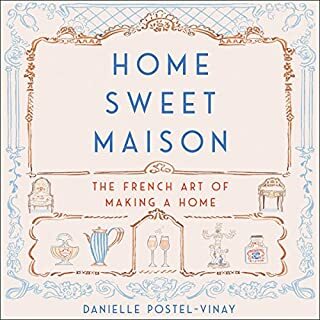 I read it after having read The Little Book of Hygge. I believe they go together nicely. I will go back to both of them more than once just to absorb all of the great knowledge. I liked it but I can't share with kids since there are swear words in it. I thought this book was well written and read. i loved the subject, thought it was interesting. relevant and useful to my life and the world around me. It was challenging to understand where the breaks were in the book as this is less story and more reference. All in all a great listen! 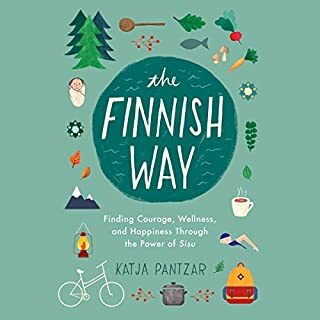 Very similar to Meik Wiking' s Little Book of Hygge in its approach and delivery, but a larger context for how to build kindness, trust, and love into your life. Meik did a wonderful job writing, gathering data, and piecing the book together. I recommend everyone learning more about hygge, which is a part of my culture.